Google tests an oversized sticky header. It's a lot bigger than the existing header and it has a fixed position, so you can quickly use the search box, upload videos or open a playlist even when you scroll down. 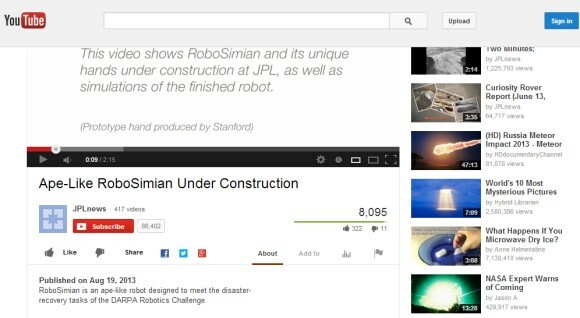 YouTube also experiments with relocating the share button next to the like/dislike buttons and adding sharing buttons for Facebook, Twitter and Google+. In other related news, the channel cards seem to be publicly available.